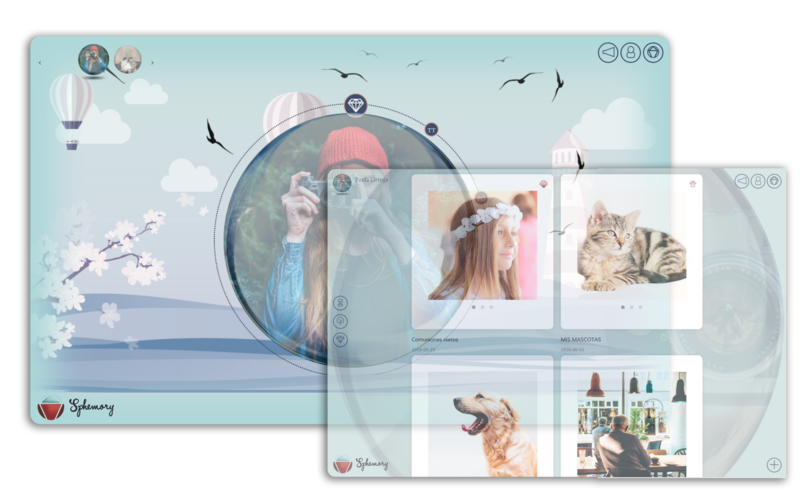 Build your sphere with your memories, videos, images and messages for yourself or to share with your loved ones. You decide when and with whom to share them. Send time capsules and share the experiences, feelings, hopes and memories that you want to immortalise and share with your loved ones in the future. With In Memoriam, digital obituaries and tributes, you can send your offerings of condolence and be beside your family at difficult times, wherever you are. Carry your sphere around on your mobile device. Relive moments of your life which are saved and protected forever. Send your condolences and tributes instantly. Share an obituary. Carry your finest moments and treasures around in your pocket. Send instant messages of support and condolence. "You life is the most important thing you have. You cannot just let go of what you have been and what you stand for when you go." "Always remain at the side of those you love. Share everything that you have in common in your life now and forever. Immortalise your essence, your history and your personal legacy. Whatever you want to last about you and about who you are. How you want to be remembered by those around you now and those still to come, who will get to know you. Build your family tree with your family. Between all of you, you can build and immortalise your ancestry. Future generations can look at it and update it by including new family members. You can create messages for the future that you would like to leave programmed so that they are seen on the date you choose. Time capsules mean that you can leave your greetings, wishes and advice so that they reach your loved ones. This means you can always be there for your family’s most special moments. This is the place to honour and remember your deceased loved ones, where they will rest forever. You can save all their memories and their legacy here forever. You can always be with them. You will find candles, flowers and small gifts to send as a sign of condolence. With a tribute, your homage will be forever recorded on the In Memoriam space. You can send tributes no matter how far away you are, and be beside family members during the hardest of times.